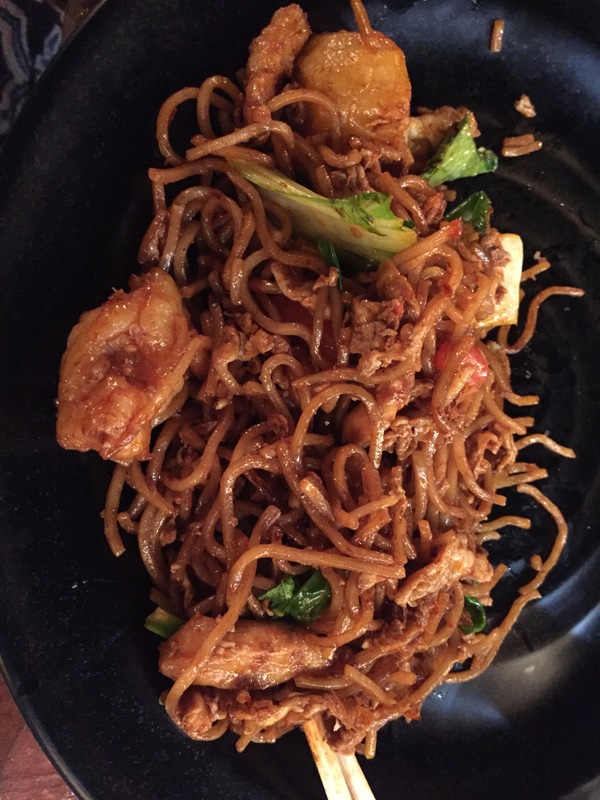 bangalore eats: asian food at nasi and mee. nasi and mee has been on my list of places to try since august. for one, aarthi’s brother vishnu is the sous chef, so obviously i have to support family. for another, i’m a sucker for asian food, and i love trying out new places. and finally, it has been getting rave reviews since it opened in early september, so i knew i needed to visit and try it for myself. luckily it is close to cindy’s new house, so we made arrangements to hit it up on a tuesday night and see if it lived up to my very lofty expectations. 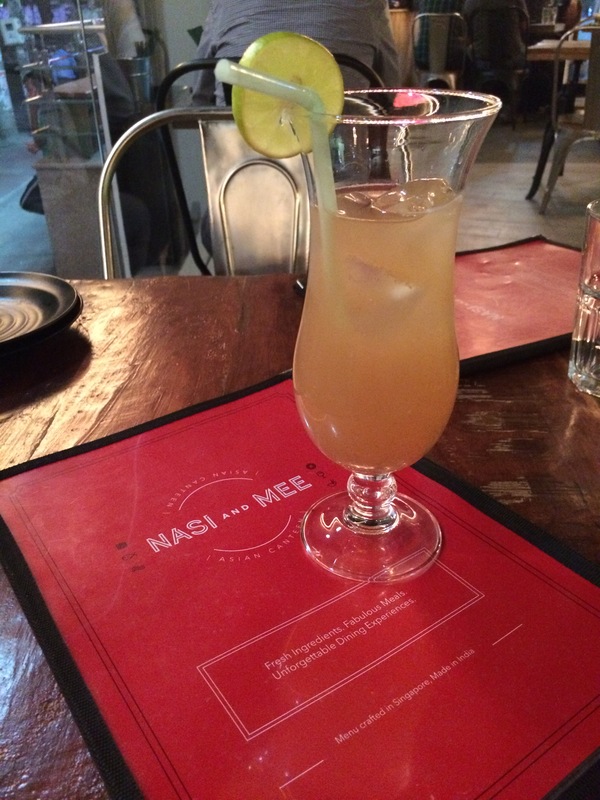 refreshing lemongrass cooler at nasi and mee. bangalore, india. october 2015.
i was quite late for our dinner because of horrendous koramangala traffic, so cindy had a lemongrass chiller and some dim sum while she waited for me. she talked so much about that lemongrass drink that i eventually had to try one for myself, and it really was refreshing — just what i needed after 2 hours on the bus. cindy’s dim sum starter. bangalore, india. october 2015.
by this time i had asked the manager if vishnu was working that night. we found out it was his night off, but as luck would have it, he actually stopped in to check on something in the kitchen, so then he joined us for the night, making recommendations and keeping us company. delicious honey chilli lotus stem starter. bangalore, india. october 2015.
vishnu’s first suggestion for us was to start with the honey chilli lotus stems, and i think they were my favourite dish of the night. 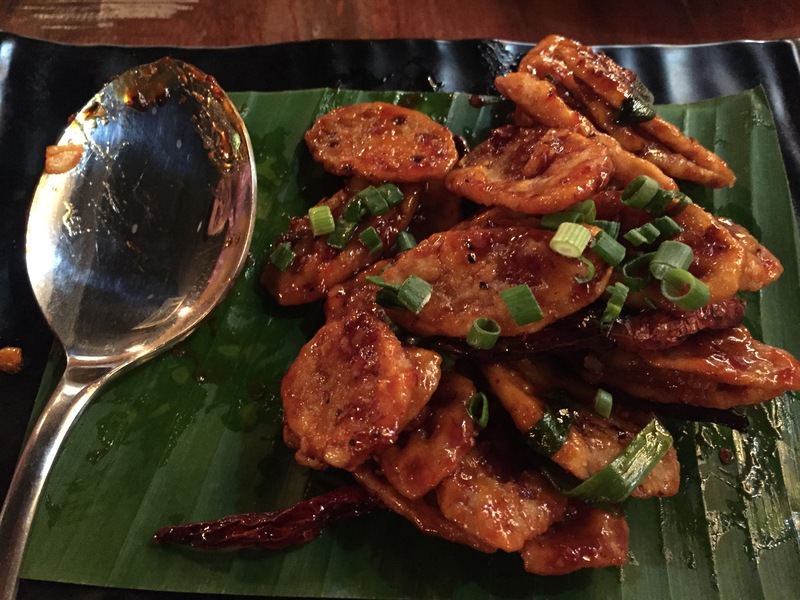 they were crispy and flavourful, and they went perfectly with the sambal sauce on the side. beef rendang main course. bangalore, india. 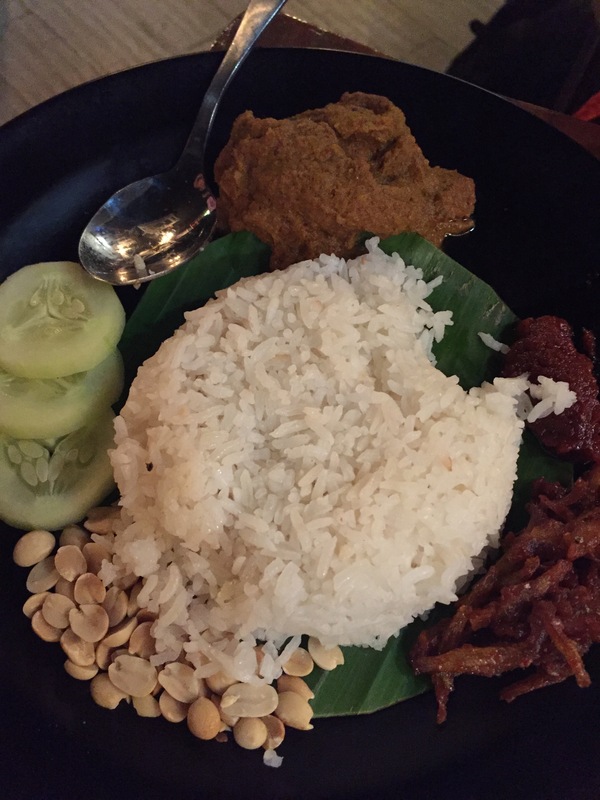 october 2015.
we decided to order two mains and share them, opting for the malak mee goreng [mix of chicken and prawns] and the beef rendang, one of nasi and mee’s specialties and usually what vishnu makes when he is on duty. both were fantastic, and cindy and i were more than happy to pack the leftovers for the next day’s lunch. mix mee goreng main course. bangalore, india. 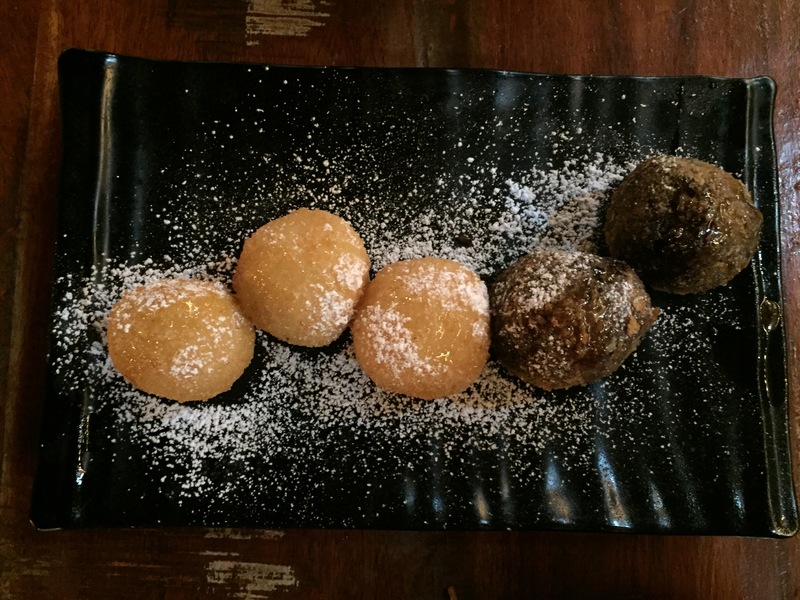 october 2015.
we rounded off our meal with fried ice cream, which was a big hit. we got a mix of vanilla and chocolate, and it was perfect. it was a great cap to our already delicious meal, and we both left nasi and mee with happy stomachs that night. fried ice cream for dessert. bangalore, india. october 2015.
i enjoyed our dinner at nasi and mee more than i’ve enjoyed any place in a while. yes, i know i’m a little biased, but i’m not the only one who raves about it. the ambience is very eclectic and relaxing, the servers are friendly, and the food is fantastic. i look forward to many more delicious meals there very soon. 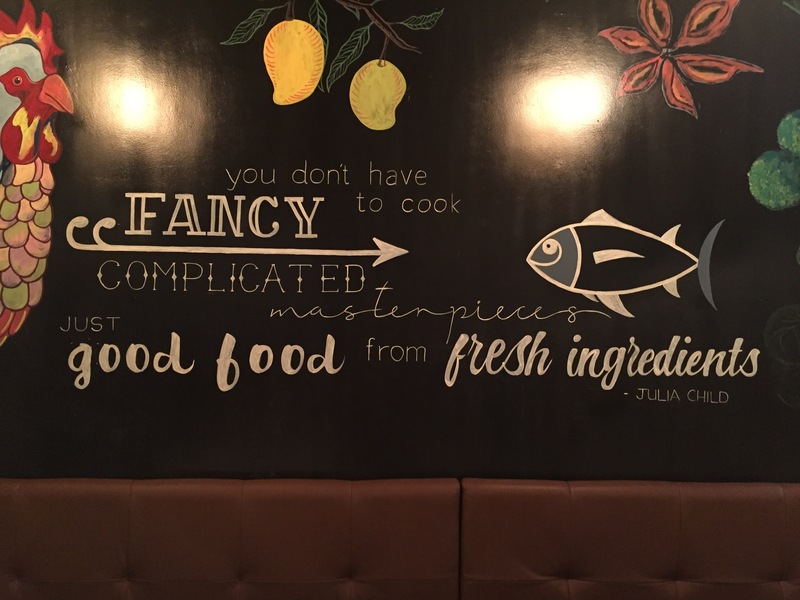 because julia child knows best. bangalore, india. october 2015.
location: 974, 4th cross, 80 feet main road. 4th block, koramangala. bangalore – 560034.
landmark: down the road from sony signal, about 100m before maharaja hotel. serves non-veg: yes. chicken, beef, and prawns. wifi available? i was too distracted by the food to check. what we ordered: lemongrass chiller x 2 [drinks]. dim sum; honey chilli lotus stem [starters]. malax mee goreng mix; beef rendang [mains]. fried ice cream [dessert]. our bill: less than rs. 1200, but i do have to disclose that we received a discount because vishnu was with us. but considering how much we ordered, it was more than reasonable. fun facts: “nasi” means rice, and “mee” means noodles, hence the name. they serve a great combination of all asian cuisines, including thai, malay, and singaporean. to keep in mind: the weekends get really crowded! will i go back? absolutely. 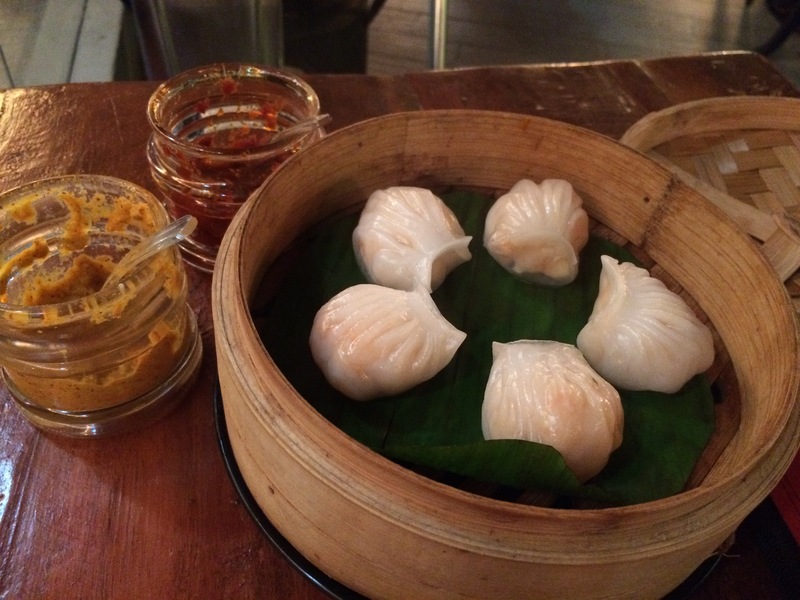 ps – photo credit for the lemongrass chiller and the dim sum goes to cindy. thanks for letting me steal! Thanks 🙂 I’ve been wanting to change things around for a while, and I finally got around to it yesterday. I kind of like the idea of playing with the layout every 6 months or so — keeps things interesting! book number twenty-four of 2015 + booker prize winner 1986: the old devils [kingsley amis]. why i cancelled my trip to kandy and stayed in galle.